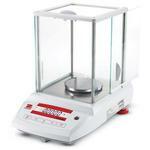 The OHAUS Pioneer Series of analytical and precision balances (Internal and Extenal Calibration models) are designed for basic routine weighing in a variety of laboratory, industrial and education applications. With the right combination of performance and features, the OHAUS Pioneer offers uncomplicated performance for all your basic weighing needs. The Best Balance For Basic Weighing! 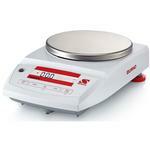 The OHAUS Pioneer Series of analytical and precision balances are designed for basic routine weighing in a variety of laboratory, industrial and education applications. Now with both internal and external calibration models and the right combination of performance and features, the OHAUS Pioneer offers uncomplicated performance for all your basic weighing needs. Easy to Clean Analytical Draftshield ? Pioneer?s draftshield is designed with all glass panels, including three sliding doors. All panels are easy to remove and replace, and together with a stainless steel bottom, make it fast and easy to clean. Bright Backlit Display ? The bright backlit LCD display is easy-to-view in any environment. Selectable Environmental Settings ? Three filter modes and adjustable zero tracking adjust balance sensitivity to environmental disturbances, or application requirements. To address the ease of cleaning requirement often expressed by routine users, Pioneer?s draftshield has been designed with easy to remove doors and panels. Disassembly takes just seconds and all components including the balance housing can be quickly wiped clean. Periodic cleaning made easy helps avoid sample contamination and extends product life. In addition, a standard in-use cover provides added protection against accidental spillage and helps minimize the chance of damage to the display and keypad. Should breakage occur, each replacement door or panel can be installed in seconds. To help adapt the balance to real life working conditions, Pioneer is designed with selectable environmental settings. When working in harsh environments, the balance can be adjusted to compensate for vibrations and other disturbances. Conversely, the balance can be adjusted for working in slow filling applications where sensitivity is a must.